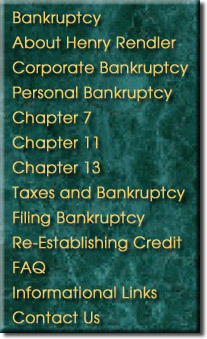 Personal bankruptcy is commenced by an individual filing Chapter 7, 11, 12 or 13. The most common is Chapter 7. The debtor is allowed to exempt certain property from liquidation by the trustee. The list of exempt property includes homesteads, household furniture and furnishings, jewelry, clothing, interests in an automobile, tools of the trade, pensions, insurance policies, a "wild-card" or "grubstake" exemption of $15,000.00, and other assets. Individual states are allowed to "opt-out" of the federal exemptions and provide their own lists. Exemptions can thus vary widely from state to state. The "automatic stay" goes into effect immediately upon the filing. This stay prohibits any act to collect money or take property from the debtor. It stops wage garnishments, foreclosures, repossessions, and the like. The stay usually remains in effect throughout the case. 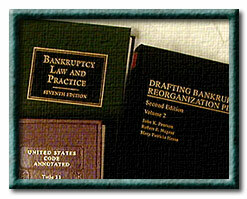 Bankruptcy is often a very effective tool for obtaining relief from oppressive debt. The benefits of filing should be reviewed on a case-by-case basis with a full review of all other options. Special attention should be given to whether the debtor will receive a discharge, and the effects of the discharge. Spouses of debtors often receive indirect relief from a bankruptcy discharge, without having to file a petition. Bankrupcy can be helpful in dealing with secured creditors, and often allows a debtor to retain property and reduce his payments. The co-debtor stay for consumer debts in Chapter 13 provides some relief for a debtor's co-signers. If you would like more information concerning personal bankruptcy or other related legal matters in the State of California, Attorney Henry Rendler is available for consultation. Please feel free to call 408.293.5112 to set up an appointment.